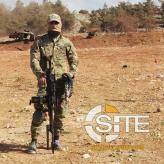 Syria-based Hay’at Tahrir al-Sham’s (HTS) “security apparatus” arrested 12 and killed at least two IS fighters in a raid in southern Idlib. The Islamic State (IS) released the 11th episode in a video series providing statistical breakdowns of IS operations, covering in this installment the week of October 4 - October 10, 2018. A video from Malhama Tactical, an Uzbek group with close ties to Hay’at Tahrir al-Sham (HTS), shows fighters taking part in a room clearing drill. Al-Qaeda (AQ) leader Ayman al-Zawahiri demanded Islamic groups refuse democracy and elections under secular constitutions and embrace Shariah-based governance and its pursuit. The Afghan Taliban released a video focusing on the daily life of fighters at the Abu Obaidah bin Jarrah training camp and their military drills and exercises there. The Kirkuk division of the Islamic State (IS) released a video demonstrating its construction of the improvised explosive devices (IED) and their use and that of other weapons on Iraqi Federal Police, in addition to providing operation statistics for the last year. 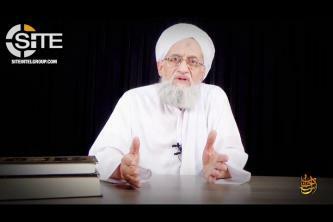 A pro- al-Qaeda (AQ) group produced a video highlighting Ayman al-Zawahiri's words on Kashmir, featuring images from Ansar Ghazwat-ul-Hind (AGH) and its al-Hurr Media. The Islamic State (IS) released the tenth episode in a video series providing statistical breakdowns of IS operations, covering in this installment the week of September 27 - October 3, 2018. The Mali-based branch of al-Qaeda (AQ), Jama'at Nusrtat al-Islam wal Muslimeen (JNIM), released a video challenging France and its coalition partners in Mali and the Sahel while promoting its fighters, and featured footage for the first time of its deputy leader, Yahya Abu al-Hammam. 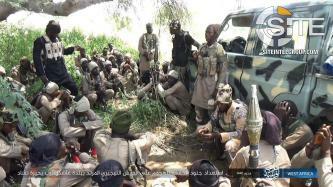 The Islamic State's West Africa Province (ISWAP) published photos of its attack on Nigerian troops in Gashigar for which it had claimed credit one-day prior. 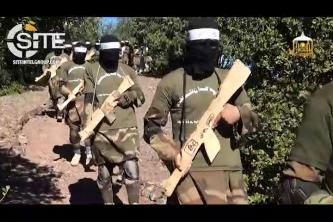 AQ's Mali Branch JNIM Previews Forthcoming Video "And the Battle Continues"
Jama'at Nusrat al-Islam wal Muslimeen (JNIM), the Mali-based branch of al-Qaeda (AQ), previewed a forthcoming video titled "And the Battle Continues". The Islamic State (IS) released the ninth episode in a video series providing statistical breakdowns of IS operations, covering in this installment the week of September 20-26, 2018. 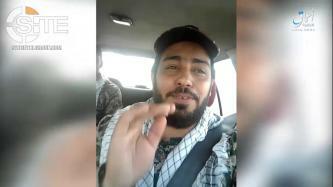 Islamic State (IS) spokesman Abu al-Hassan al-Muhajir promoted the recent attack on an IRGC military parade in the Iranian city of Ahvaz and rallied IS fighters in Syria's Hasakah governorate. Al-Qaeda in the Islamic Maghreb (AQIM) promoted a call made by AQ leader Ayman al-Zawahiri in his latest speech to support North African fighter, providing a translation of that excerpt in English, French, German, and Spanish. The Islamic State’s (IS) ‘Amaq News Agency released a video of the three attackers behind the operation at the Iranian Revolutionary Guard Corps (IRGC) military parade in Ahvaz. The Islamic State (IS) released the eighth episode in a video series providing statistical breakdowns of IS operations, covering in this installment the week of September 13-19, 2018. 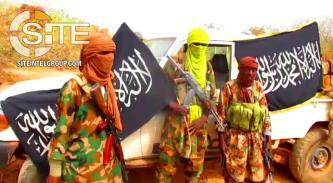 Fighters belonging to al-Qaeda (AQ) announced their presence in Burkina Faso in a video. 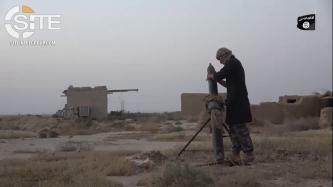 The Islamic State (IS) released a video showing its clashes with Iraqi soldiers and Popular Mobilization Units (PMU) forces in various areas of Diyala.